Ebooks are absolutely nothing like traditionally printed books. You control the layout. It’s a fixed format. There is no “page” per se! What one person sees on their screen will not necessarily be on another person’s screen. 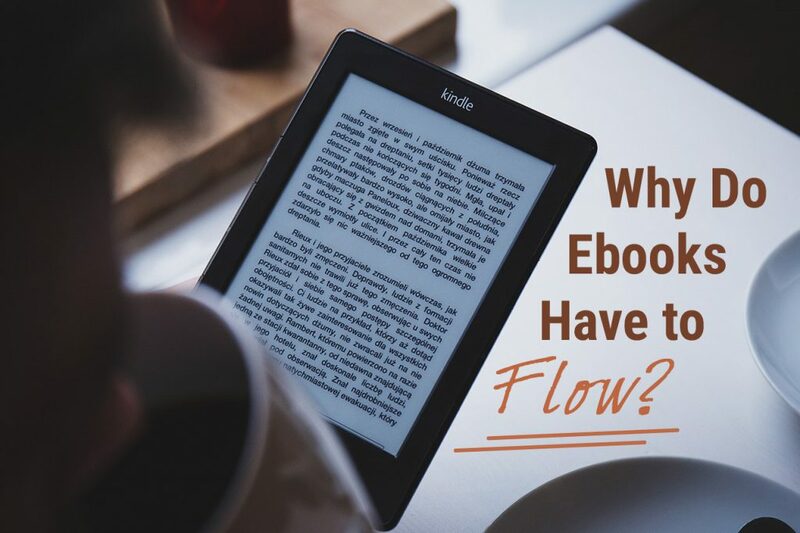 Unlike print edition, it’s important that your ebook is formatted and coded to liberate the words in a digital form so they can adapt to various devices. The less fixed parts your book has, the better it will behave. Check out the same source file displayed on a smartphone & tablet. See how the text flows & adapts to both devices while you’re scrolling each of them!